Not all spies look like James Bond and Ethan Hunt. Most of them look like ordinary people, which makes them all the more dangerous... So what does it really take to be a spy? Every week, we cover a real-life spy mission: the stakes, the deception, the gadgets, and how it changed the course of history. Each two-part series follows one mission of a historic spy, and if they made it out alive. Espionage is a production of Cutler Media and part of the Parcast Network. After Julius and Ethel sold atomic bomb secrets to the Soviet Union in 1945, American intelligence began a manhunt to find the traitors. As the FBI swarmed around them and their USSR contacts abandoned them, the Rosenberg’s made a critical mistake.Sponsors!Daily Harvest - Go to DAILY-HARVEST.com and enter promo code ESPIONAGE to get three cups FREE in your first box! Starting in the early 1940s, Julius Rosenberg and his wife Ethel orchestrated a top-secret operation to steal atomic bomb secrets from right under the nose of the FBI. While living in New York City, they then sold those secrets to the Soviet Union and turned the tide of the Cold War in favor of communism.Sponsors!Upstart - Hurry to Upstart.com/ESPIONAGE to find out HOW LOW your Upstart rate is. Checking your rate only takes 2 minutes—and won’t affect your credit! Invisible to most, or maybe merely overlooked, these people change the course of history--with no one the wiser. 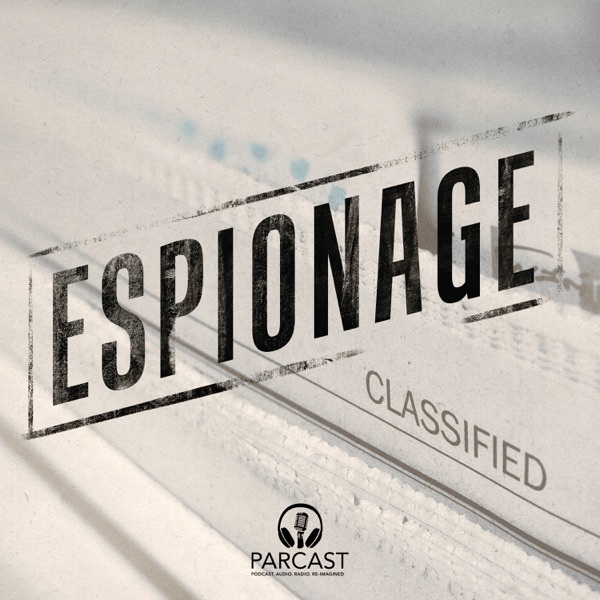 Every week, Parcasts Original Podcast Espionage covers a real-life spy mission: the stakes, the deception, the gadgets, and how it changed the course of history. Espionage premieres on April 12th, with new episodes everyFriday.